Castillo de San Marcos, located in St. Augustine, FL, is the oldest masonry fort in the U.S.; constructed by the Spanish in the seventeenth century. 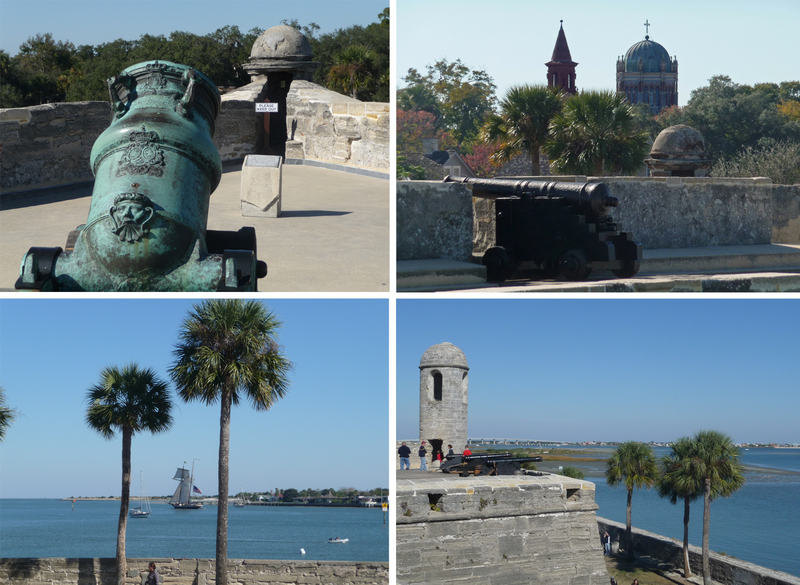 It’s similar to Fort Pulaski, in that both are big, thick-walled, stone structure with canons and drawbridges. But we found Castillo de San Marcos more interesting. It’s probably the palm trees. Everything is better with palm trees.